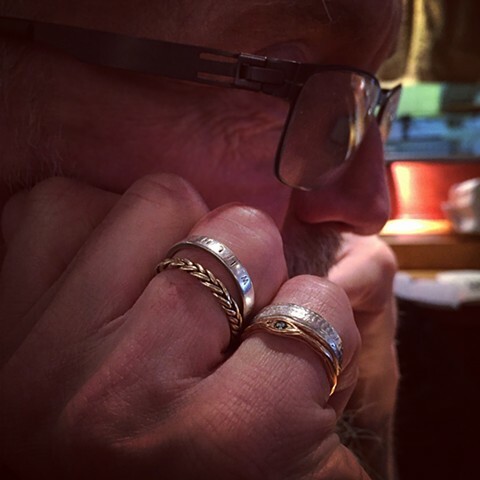 A close up of my husband, the extraordinary guitar player, Norman Westberg's right hand. He wears these rings I made for him all the time. Each one was given to him on a special occasion. 2 as love/good luck tokens before long tours, one in honor of our precious daughter's birth (he is an extra amazing dad) and one most recently on our 10th wedding anniversary (he's also a wonderful husband).